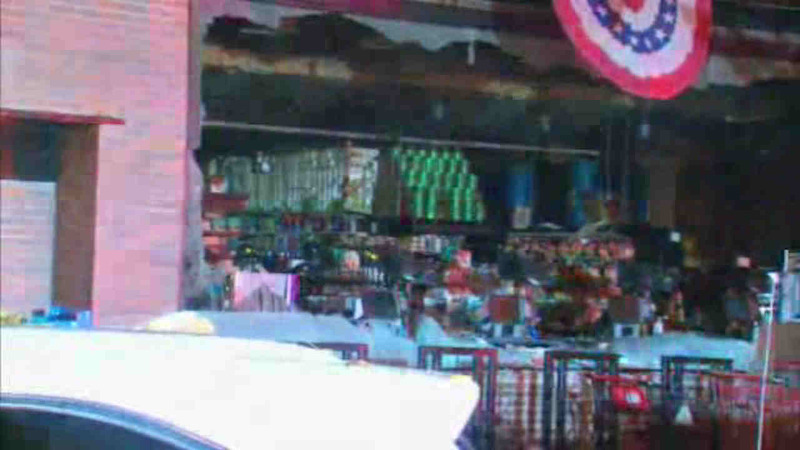 HARLEM, N.Y. (WABC) -- A three-alarm fire burned through a supermarket in Harlem overnight. The fire broke out inside the Foodtown on St. Nicholas Avenue just after 1:15 a.m. Wednesday. One firefighter was being treated for a minor injury. The fire was brought under control within several hours. St. Nicholas Avenue was closed between West 145th and West 150th streets for fire department activity.